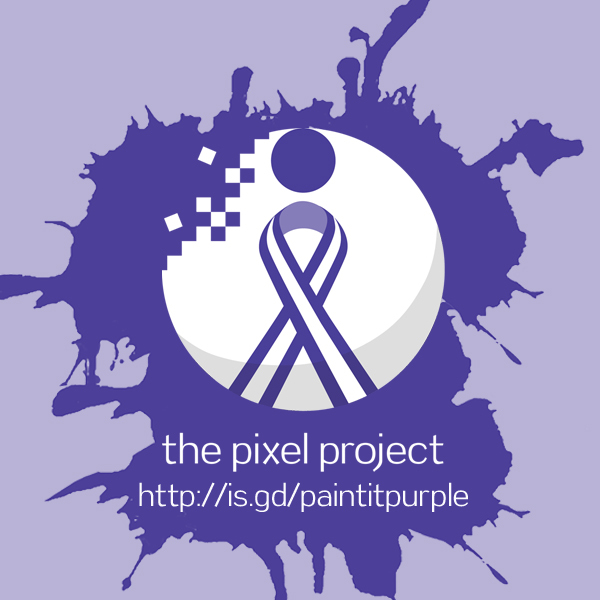 What motivates a busy baker to dedicate his or her talents to The Pixel Project? In this interview series, we find out! All Paint It Purple Ambassador Cupcakeries/bakeries were invited to share with us the reasons they chose to take part in the Paint It Purple campaign and the inspiration behind their unique twist on the classic Paint It Purple cupcake design. 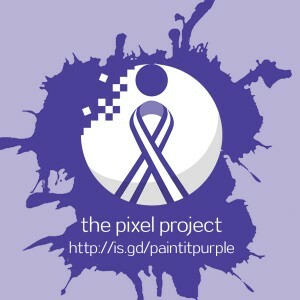 This interview is with Superstar Pastry Design in Anchorage, Alaska whose Paint It Purple Bake Sale benefits Abused Women’s Aid in Crisis (AWAIC) and The Pixel Project. 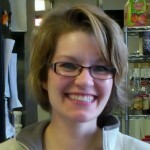 Knowing early on that sweet food was for her, lifelong Anchorage resident Kory Joyner attended the King Career Center Culinary Arts program in high school and graduated from California Culinary Academy in 2002. After getting some practical experience at Gesine’s, Kincaid Grill, and L’Aroma, Kory couldn’t help but strike out on her own. Superstar Pastry Design was founded in 2004 and the retail shop opened its doors in January of 2008, finally bringing “TV cakes” to Anchorage. Armed with her talented support crew, Superstar Pastry tackles Anchorage’s biggest and best cakes while still baking everything from scratch with high quality ingredients (butter!). The retail shop also features Kaladi Brother’s espresso, cookies, brownies, and the famous CupcakeBar: custom cupcakes made to order before your eyes! Tell us about Superstar Pastry Design and why you decided to take part in this year’s Paint It Purple campaign. We decided to be a part of this campaign because we only exist because the community supports us so we do what we can to give back that support. We are a woman-owned and –operated business and most of our clientele is women so it makes sense to do women-oriented campaigns. 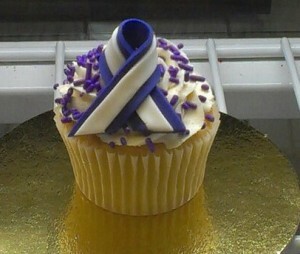 Tell us about the special Paint It Purple cupcake you have designed for the campaign this year. The best thing about Superstar doing the PIP cupcakes is that we have a cupcake bar (choose your cake, filling, icing, and toppings) so the customer is not limited to one PIP flavor. Anyone can find something they love on the cupcake bar and can have it turned into a PIP cupcake in a matter of seconds. We also offer gluten free cupcakes. Paint It Purple cupcakes are available from October 1 – 31 in any flavour. Just ask for the Special Edition cupcake! What do you think independent businesses such as Superstar Pastry Design can do to help with efforts to prevent and stop violence against women in communities worldwide? Shame is a powerful weapon. The more campaigns there are against abuse of women the more community shame will be put on the MEN to stop the abuse and the more WOMEN will know that we have their backs and can stop feeling their shame. Of course, raising cash always helps. In your opinion, how can we encourage people (especially men and boys) to take an interest in and step up to help stop violence against women? By drilling it in more and more that these are our wives, mothers, daughters, and sisters that we are fighting for. These are women that they know. The more personal the problem feels, the more likely people are to take ownership of it. This entry was posted in Blog, Paint It Purple and tagged Activism 101, Cupcakes, Paint It Purple 2012, Violence Against Women by regina. Bookmark the permalink.